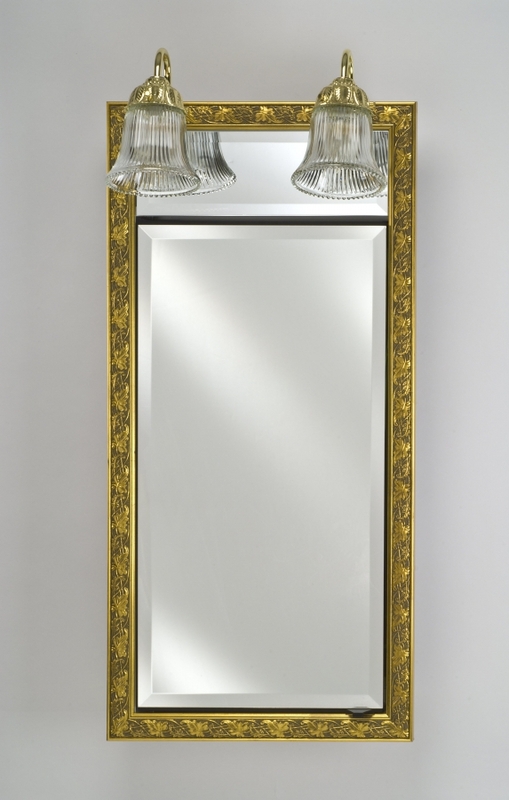 The functionality of this medicine cabinet is enhanced by the decorative frame and the beautifully designed light fixtures. This piece offers great storage space for the bathroom. The frame style and finish are available in a wide variety of color choices. The light hardware also offers choices to best enhance the room decor.